Looking "where to sell my Alfa Romeo 1900?" Ask the Chicago Car Club! Are you wondering "where to sell my Alfa Romeo 1900 ?" 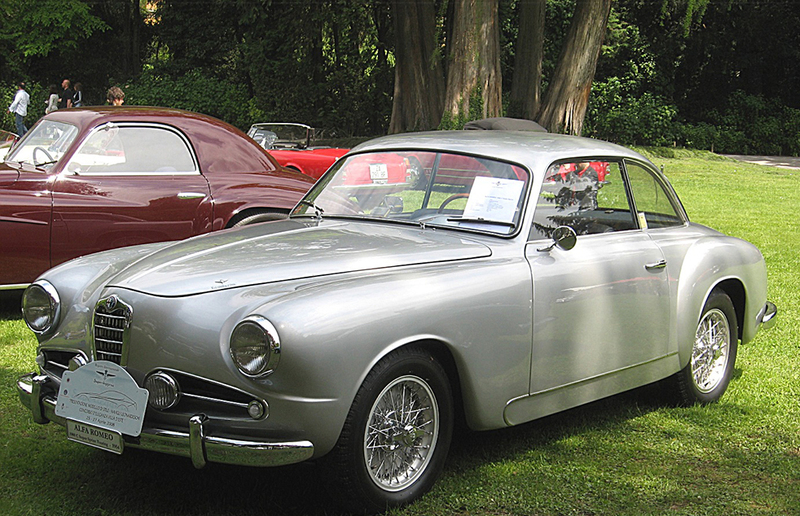 The Chicago Car Club is interested in classic cars of all makes and models, especially a Alfa Romeo 1900. We make the process of selling your Alfa Romeo 1900 quick and painless. In just a matter of hours we will have your classic valued and, if you do so choose, turned into money in your pocket. All it takes is a phone call or electronic inquiry to get the ball rolling. The 1900 was a model of car produced by the Italian car maker Alfa Romeo in the 1950s. It was assembled in Portello, Milan, Italy and in Nessonvaux, Liege, Belgium. It was a Front-engine, rear-wheel-drive car that came in 3 configurations: 4-door saloon (Berlina,) 2-door coupé (Sprint,) and a 2-door convertible. Iginio Alessio, then general manager of Alfa Romeo, appreciated the independent Italian Coachbuilding industry. The development of the unibody chassis design was threatening to put the “carrozzerie” car makers out of business. Therefore, from 1951-1958 Alfa Romeo built five different variations of the 1900 unibody chassis specifically for independent coach builders. Dozens of independent coach builders made unique one-of-a-kind versions, using the 1900 as a starting point. Some of these unique custom built cars have become quite famous, such as the Bertone Bat cars and the Astral spider designed by Carrozzeria Boneschi for Rafael Trujillo the dictator of the Dominican Republic. The standard version of the 1900 had a displacement of 1,884 cc, produced 80-90 bhp, and had a stop speed of 103 mph (166 km/h)-106 mph (171 km/h.) Alfa Romeo also produced sub-models called the TI, Super and Ti Super, which were upgraded models that had larger engines and could reach top speeds of up to 115 mph with up to 115 bhp.